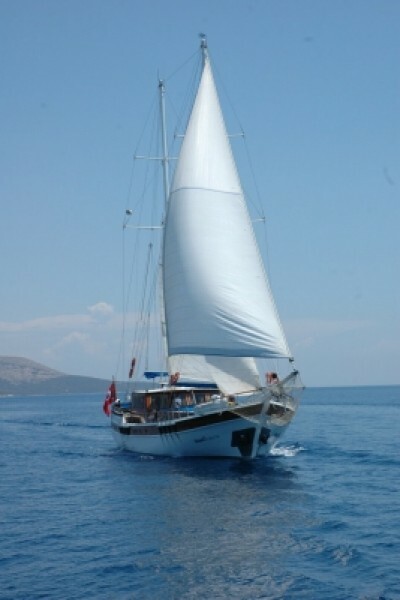 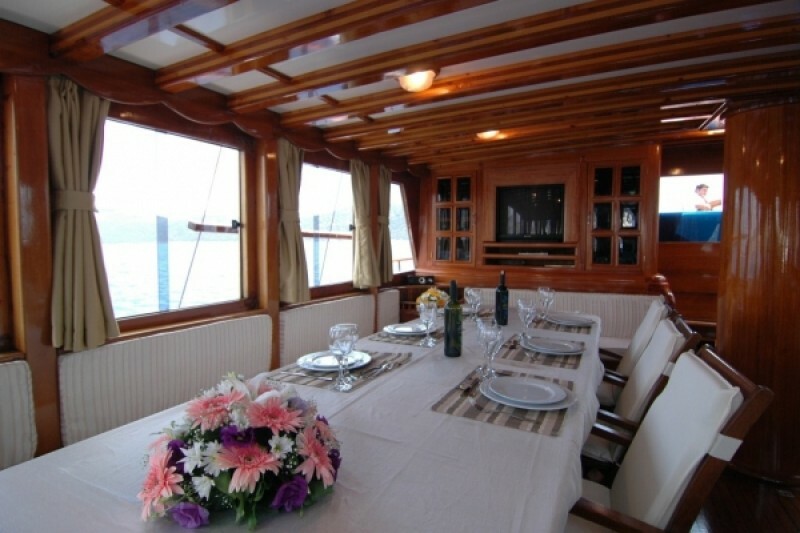 Sun World 8 is a traditional wooden boat which accommodates a large group or family with ease and comfort on their gulet cruise holiday. 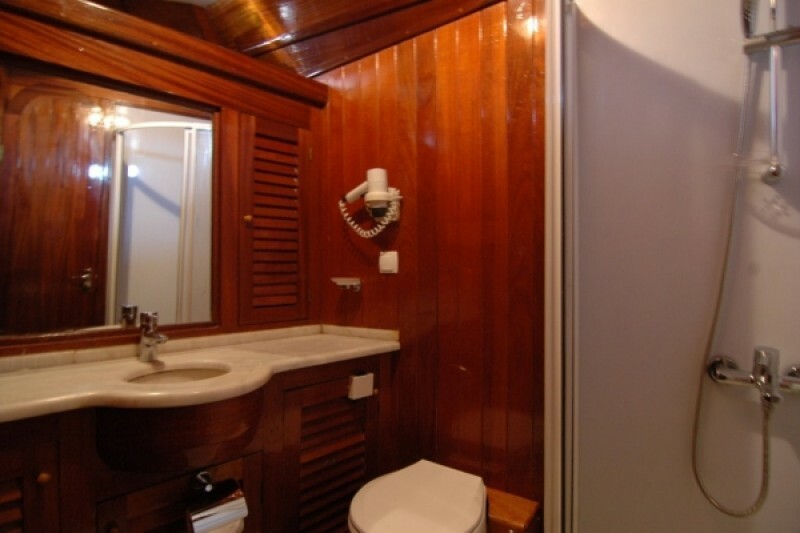 A practical layout of the eight comfortable pine-lined cabins has grouped in four cabins each side of the communal indoor saloon. 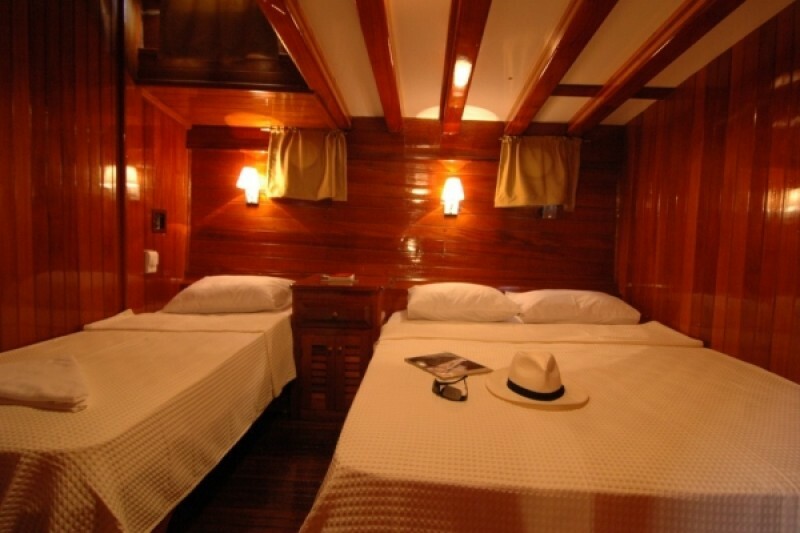 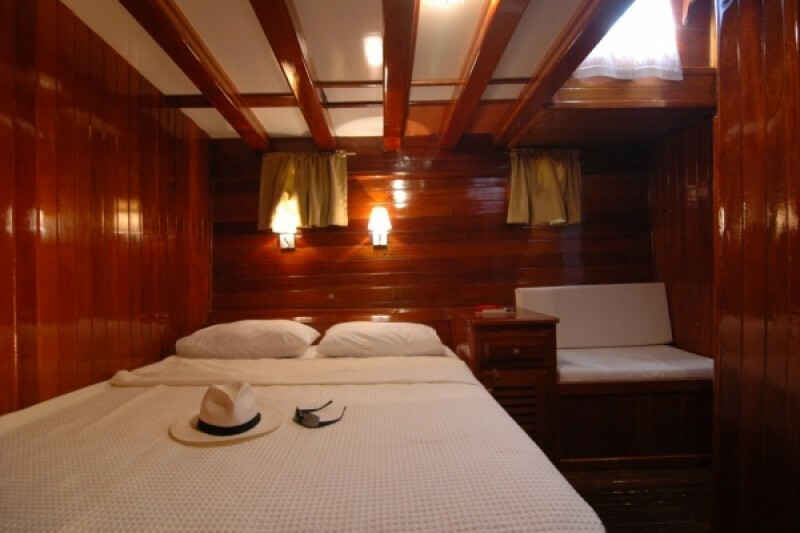 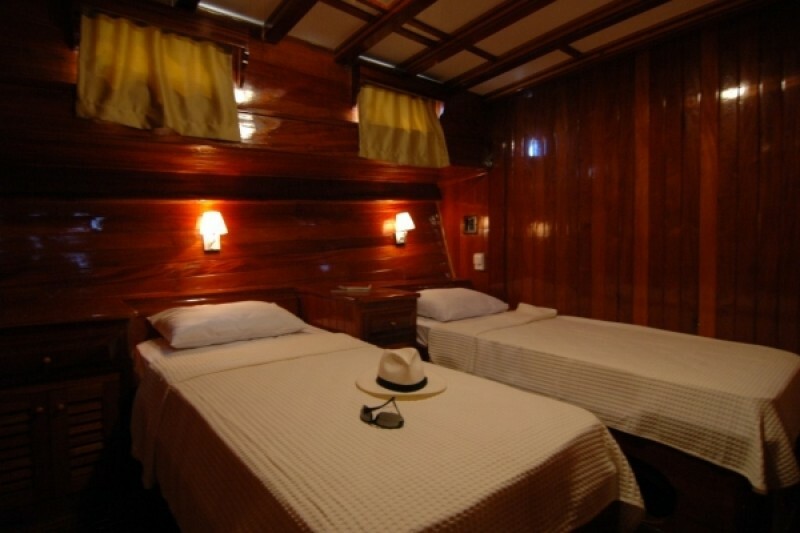 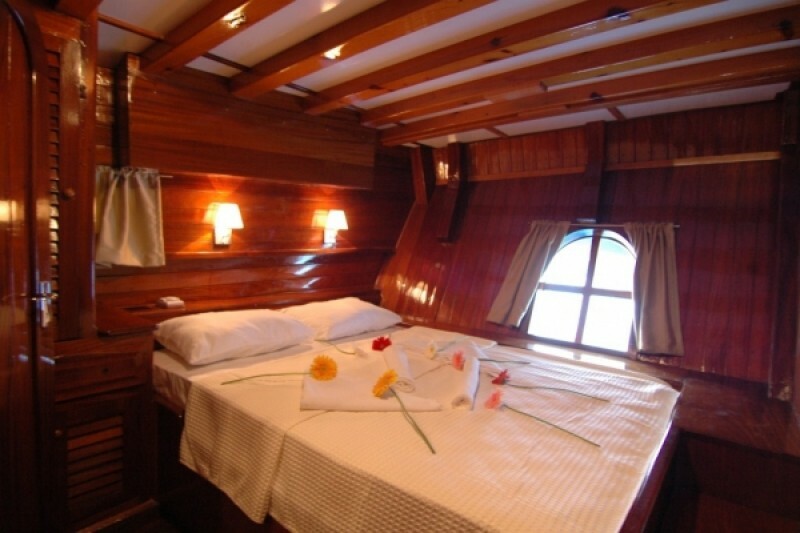 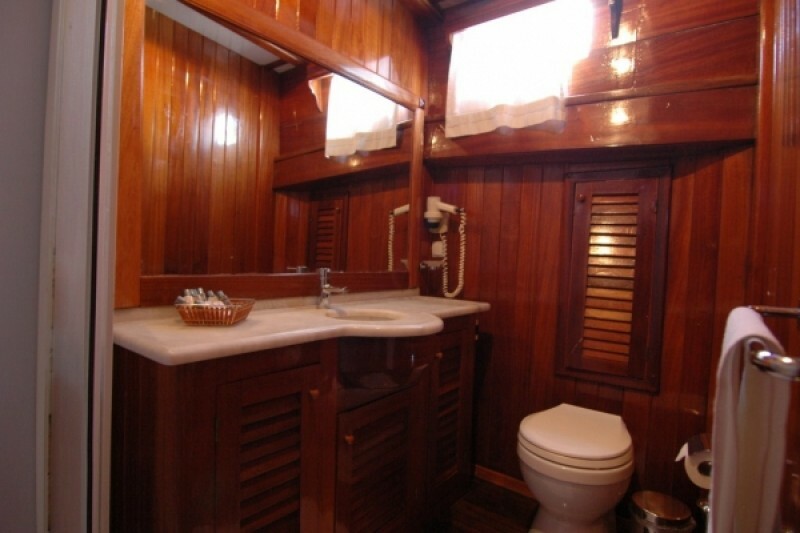 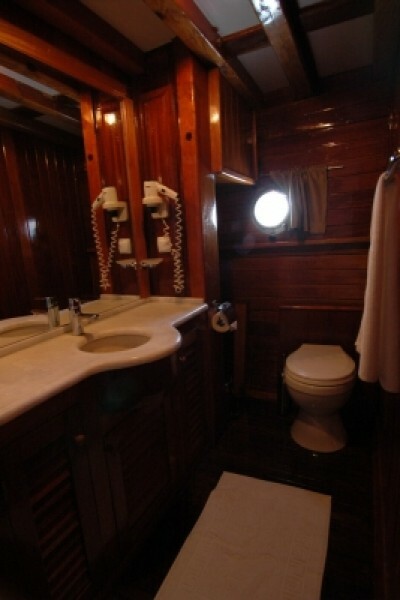 In the aft section are four equal sized double bed cabins, while in the bow are two twin bed cabins, one double bed cabin, and one double and single bed for a triple cabin; all with well fitted en suite bathrooms with hairdryers. 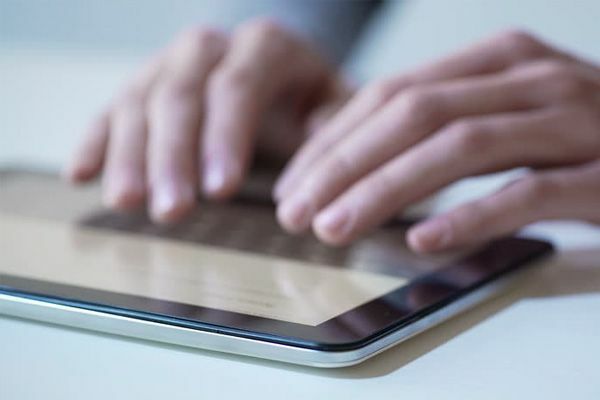 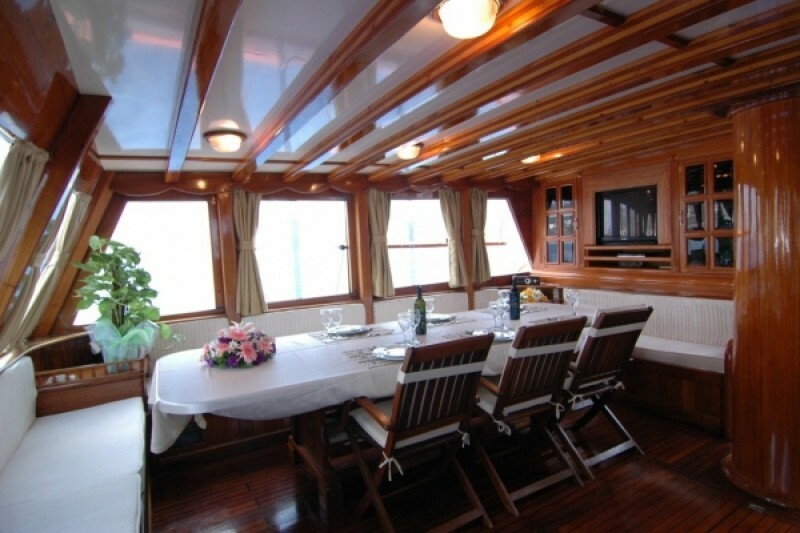 All indoor areas have air-conditioning available throughout. 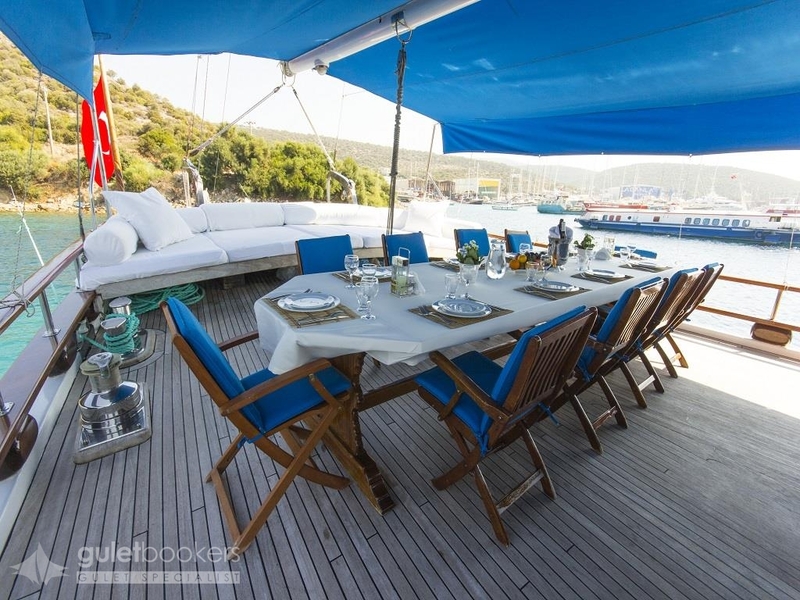 On deck of gullet Sunworld 8 offers an inviting outdoor dining table is set for excellent meals served by the crew, and a stern width cushioned bench is perfect for a lazy afternoon or evening. 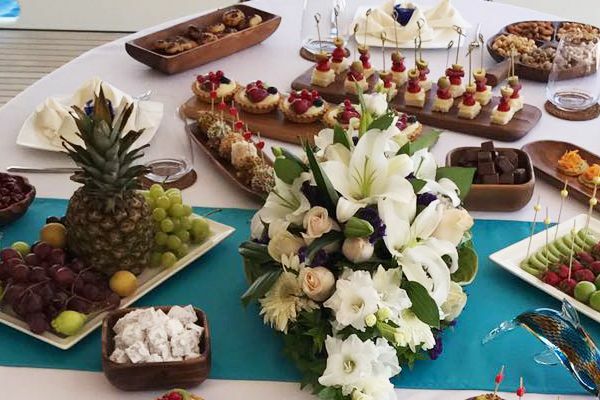 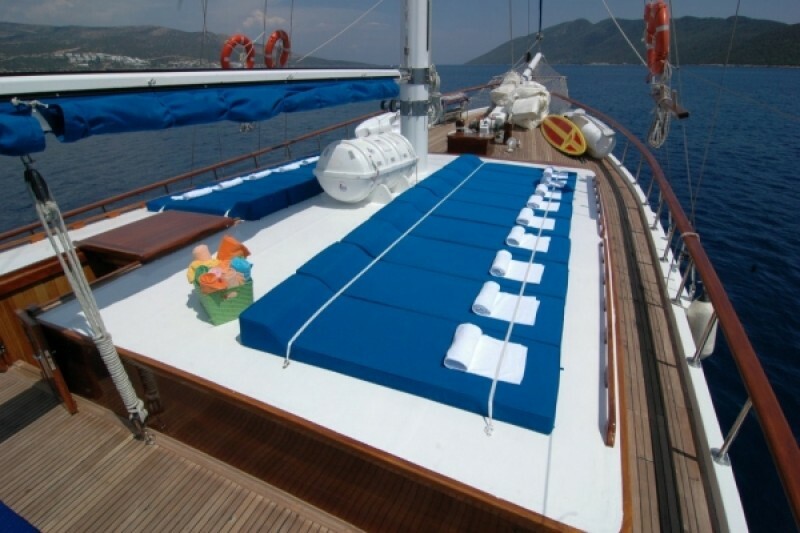 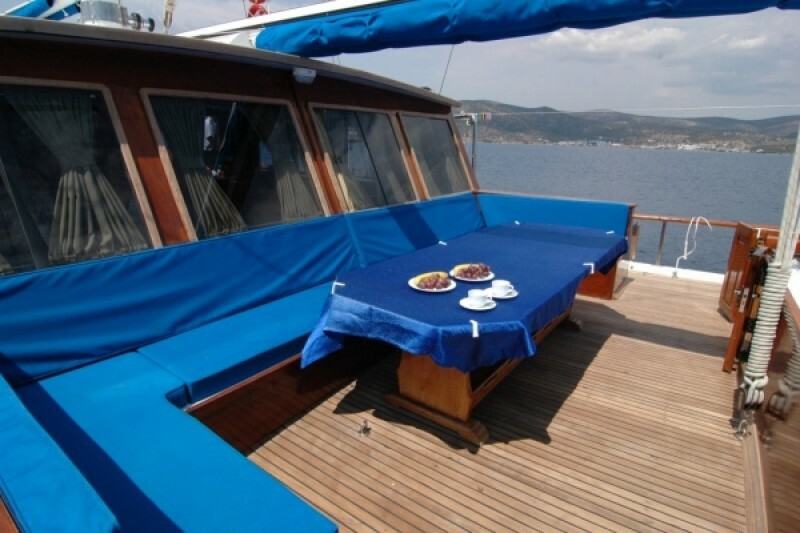 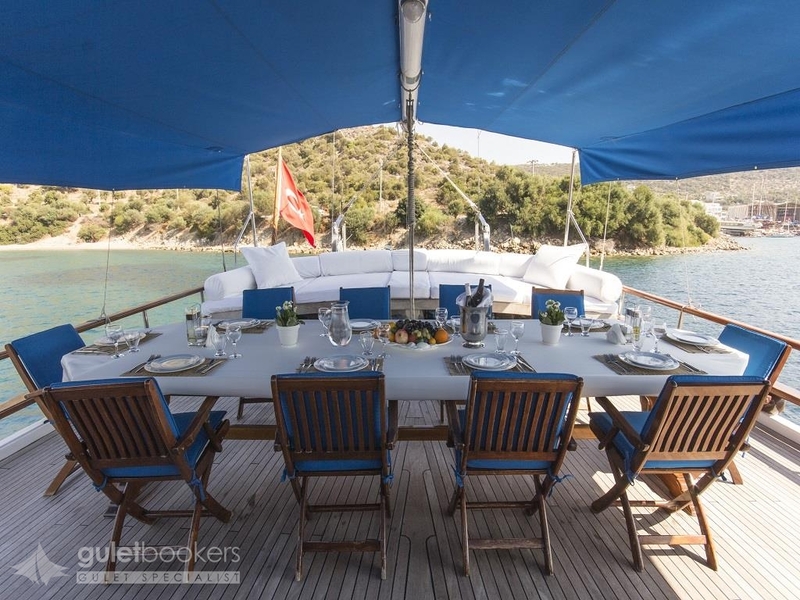 An enticing midships seating area is a favourite place to gather while ample sunbeds on the foredeck allow for up to sixteen guests to enjoy the sun and views of the Aegean. 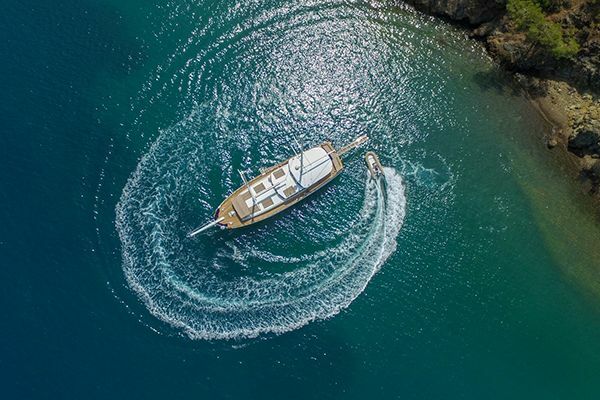 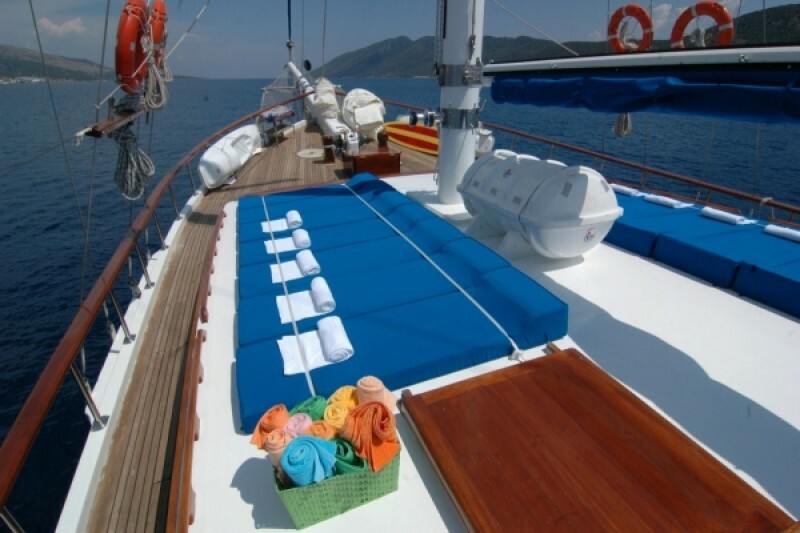 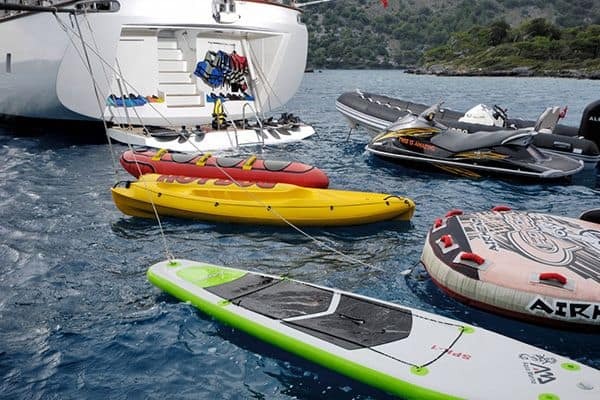 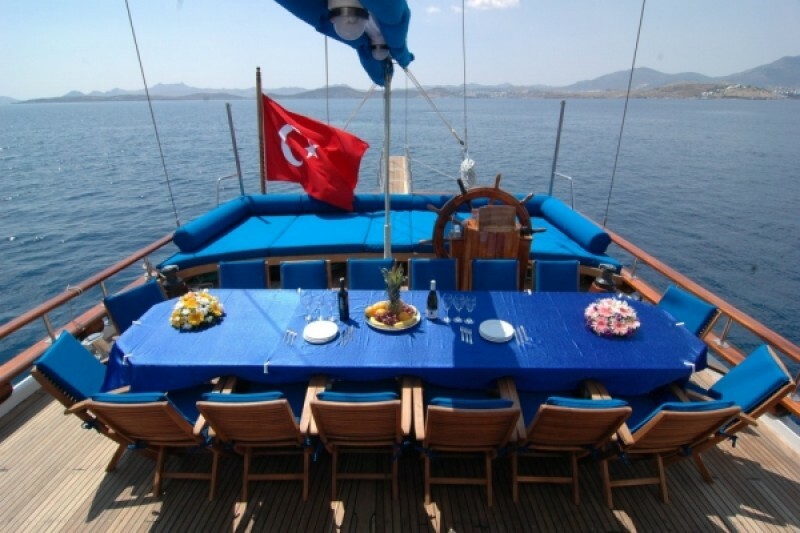 Like all gulets in the Sunworld fleet, it is immaculately maintained and crewed professionally but in a friendly way by the captain and crew of three, who will also help the guests with the canoes and water toys they might request. 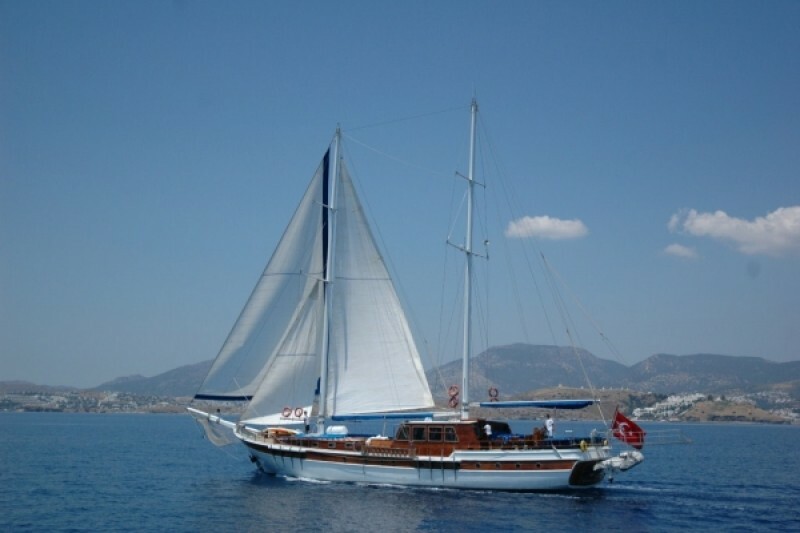 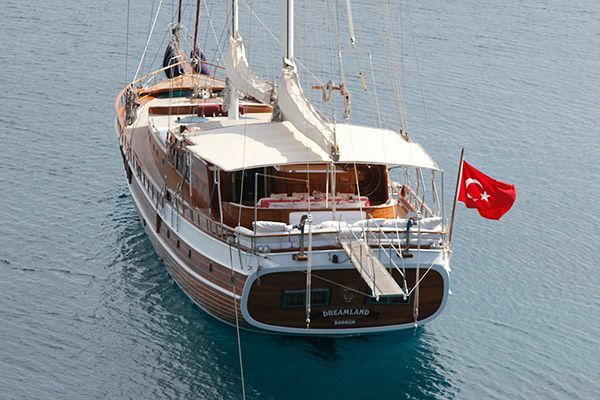 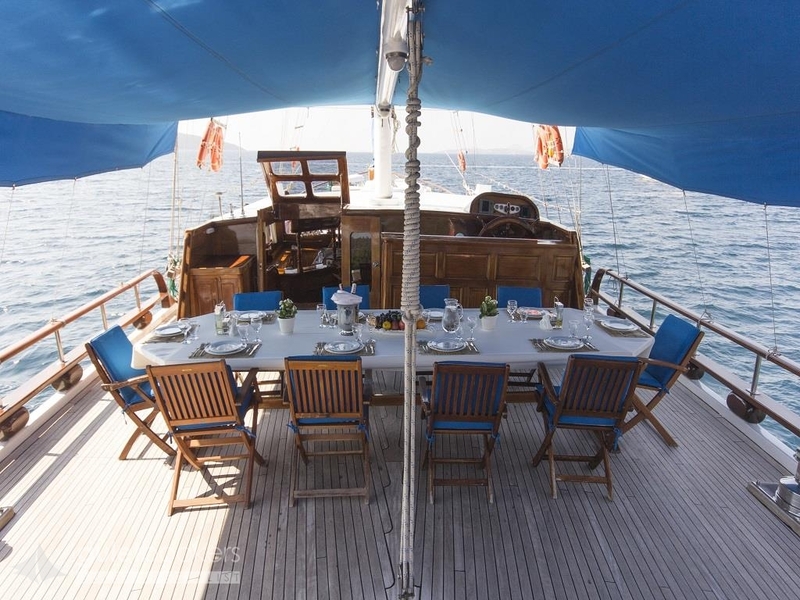 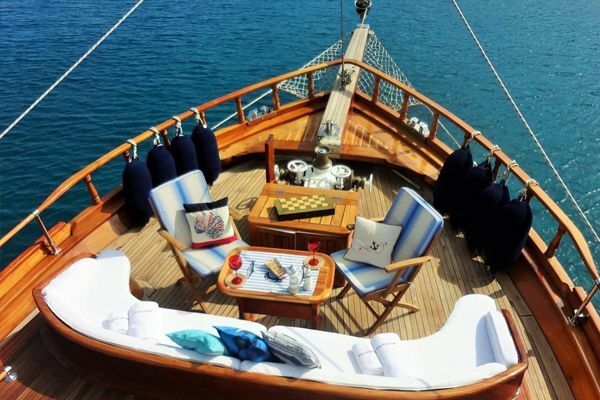 The sailing standard gulet yacht Sunworld 8 can be chartered for cruising Turkish waters from Bodrum or for up to twelve guests in the Greek islands up to the northern Aegean island Lesbos.